At it-agile, all data concerning the company is accessible by all employees. That includes salaries, expenses, earnings etc. But even though I can dig through all the data to get the information I am after, I wouldn’t say that the information is transparent. The data is distributed over several systems, like Google Docs, Dropbox, our Wiki and probably others. It is way too much effort to find and make sense of. if they would recommend it to other people. With that, I hope to make what people do in their slack time at it-agile more transparent and help to share knowledge faster. Apart from transparency about slack time usage, I am thinking about four other ways to support how we work together. Giving anonymous feedback to colleagues while providing the option for the recipient to respond with clarifying questions. Like I said, we already do all this and the data is (somehow) accessible, I am merely trying to make the data more comprehensible. Right now I am just scratching my own itch and seeing if it catches on with my colleagues. 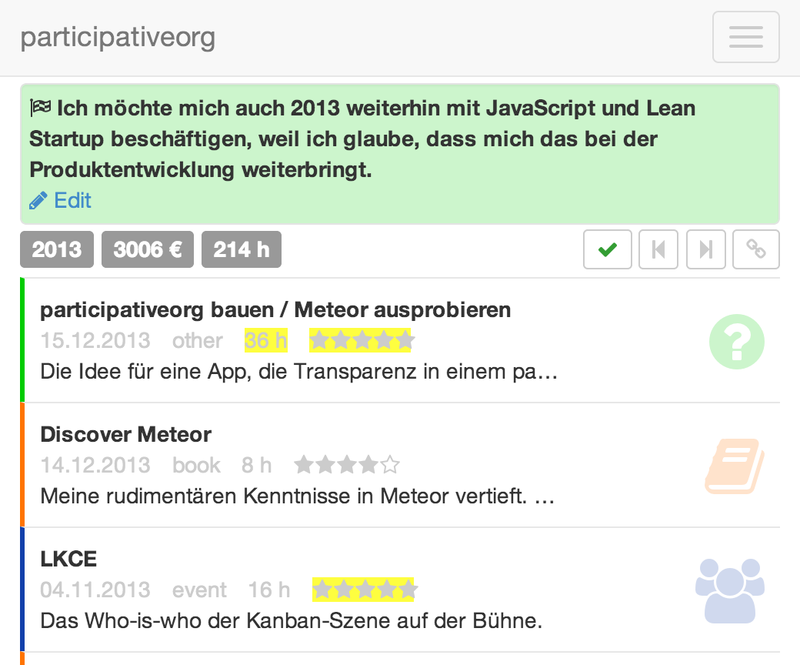 If you are keen (and got a Google account, which you’ll need to log on), you can try it out yourself on participativeorg.meteor.com.